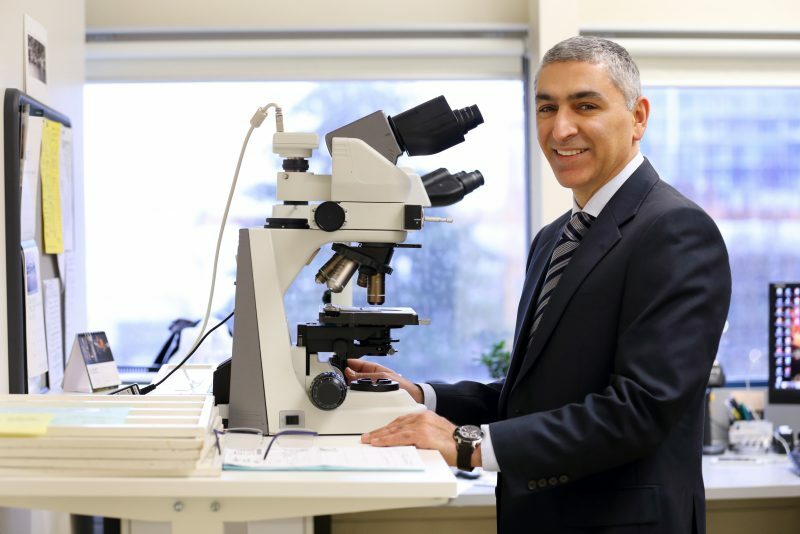 As Head of Pathology & Laboratory Medicine at Royal Columbian Hospital, Dr. Reza Alaghehbandan is part of a team that is central to the care of patients. The lab plays a major role in over 80-percent of medical diagnoses, providing answers to questions that cannot be answered by speaking with the patient or from basic physical exams or radiographic images. Foundation: How extensive is the role of the hospital’s lab? RA: Our Department is the largest in the region with 300 dedicated staff, providing 4.2 million tests annually. A major part of what we do is cancer diagnosis, which is the foundation of cancer care, with over 1,500 newly diagnosed patients per year. So we play a significant role in the health and well-being of our population. Foundation: You’re an Anatomic Pathologist. What does that include? RA: Anatomic Pathology encompasses the study of tissue and cells removed from patients during a procedure to diagnose a disease and determine a treatment plan. This includes patients’ specimens coming to us directly from hospitals’ operating rooms, outpatient clinics, etc. Foundation: Outside of your role at Royal Columbian, you are involved in a number of initiatives. RA: I am a faculty member with UBC, teaching residents and medical students. I also serve on a number of provincial and national organizations and committees. I have been very privileged to engage in volunteer activities in under-resourced countries in Africa and Asia. I am an IAP (International Academy of Pathology) Ambassador, promoting pathology services in underserved areas. I also serve as an expert panel on cancer control at the World Health Organization for building pathology capacity in low-resource countries. Foundation: What drew you to become involved?